Showing results for tags 'friendship is magic'. Which, in your opinion, is the best episode of the entire show? Figure to start a new thread of favorite FiM images. 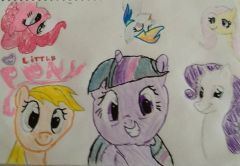 What I am looking for in posts are actual artwork done by fans of the show. 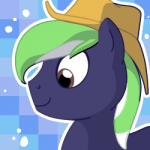 Artwork from the serious to the amusing and cute are welcome, but keep it to actual art (vectors are welcome) that you really like for one reason or another; what I mean by that is no memes or demotivationals, etc. Extra rule: Just have some thoughts to go with each pic to do with why you wanted to post it, (nothing deep or anything is needed). Only other rule is keep the pictures general audience. We have a pictures thread for naughty suggestive material already. Well I'll just start off then: Fun fact: Chopsticks were a griffin invention that never took off anywhere else: This is one of my favorite Applejack pictures ever. Not sure why, perhaps it is the simple cuteness of it all: Oh Derpy, you and your silly shipping imagination: Oh Lyra, you can just ask for a hug All I want for Christmas... ;_; Show off your favs! 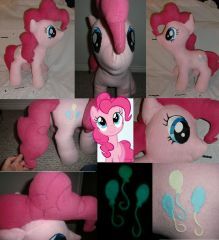 This is a pinkie pie plushie I made that now resides in Utah! 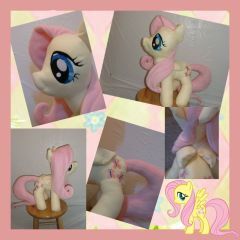 This is a fluttershy I made that now resides in Australia! Given the show's massive popularity and the fact that A Canterlot Wedding got more views than any other episode so far does anyone other than me think that Season 3 will have more than thirteen episodes. 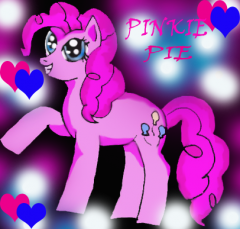 Who's your most favorite pony in all of Equestria? Friendship Is Magic S02EP06 - "The Cutie Pox"
S02EP10 - "Secret of My Excess"
This is the official thread for information and chatting about the tenth episode of Season Two - "Secret of My Excess"! So come join the conversation! The thread will open up five minutes before the episode airs (8:55am Central/9:55am Eastern). Remember though, there are spoilers in the comments section so read at your own risk if you haven't seen the episode! Friendship Is Magic S02EP05 - "Sisterhooves Social"
S02EP09 - "Sweet and Elite"
This is the official thread for viewing and chatting about the ninth episode of Season Two - "Sweet and Elite"! As many of you know, this is a Rarity episode (so yays for my marshmallow beauty! ). I won't say the synopsis so as to not spoil anything for anyone. Remember though, there are spoilers in the comments section so read at your own risk if you haven't seen the episode! Video is up! 1080p High Definition (thanks Dessa & Whitehawke). Enjoy! If you find a video or a higher quality video before I do, please PM the links, do not post it in the comments section. 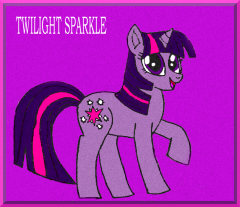 S02EP08 - "The Mysterious Mare Do Well"
Friendship Is Magic S02EP07 - "May the Best Pet Win!" Friendship Is Magic S02EP04 - "Luna Eclipsed"
This is the official thread for viewing and chatting about the fourth episode of Season Two - Luna Eclipsed The thread will open 8:55am Central Standard Time (the Hub has scheduled this episode one hour later in the day than the last three, it now airs at 9am CST), five minutes before the episode begins. High Definition video is up! 720p, closed captioned, no commercials! Enjoy! http://www.youtube.com/watch?v=TSDjjmwmUqI&hd=1 This episode is shaping up to be a top notch one! Friendship Is Magic S02EP03 - "Lesson Zero"
This is the official thread for viewing and chatting about the third episode of Season Two - Lesson Zero New video is up: 720i High Def, closed captioned, no commercials. Enjoy! http://www.youtube.com/watch?v=9sv4KRYXa6Y Remember folks, discussion will likely contain spoilers, so tread them carefully if you haven't watched!